SAN JOSE, Calif. — The loss of up to 200 jobs at Space Exploration Technologies Corp. is due to firing of “low performer” employees as part of its annual review process, and not layoffs, the company’s president said July 26. 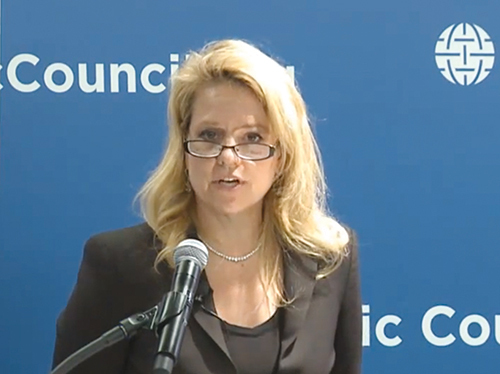 “We did our annual performance review, there were some low performers, and we terminated them,” SpaceX President Gwynne Shotwell said after an appearance on a panel at the NewSpace 2014 conference in San Jose, California. She said she didn’t know how many employees were fired, but noted that in past performance reviews the figure was around 3 percent of the company’s workforce. According to the SpaceX website, the company has more than 3,000 employees, and in presentations in recent months company officials said SpaceX had close to 4,000 employees. That would put the total number of employees terminated as high as about 200. A lack of legal filings would support SpaceX’s assertion that the firings were not layoffs. In California, where Worker Adjustment and Retraining Notification (WARN) notices must be issued 60 days in advance of any layoffs of 50 or more employees, the company had not filed such a notice through July 14, according to the state of California’s Economic Development Department website. In Texas, where SpaceX has test facilities, the company had also not filed a WARN notice with the Texas Workforce Commission as of July 23, according to its website. Companies are not required to file WARN notices when they terminate employees for cause. SpaceX said it “expects to see net positive employee growth in 2014 of approximately 20 percent” despite the recent terminations. As of July 29, the company had more than 350 open positions listed on its website.